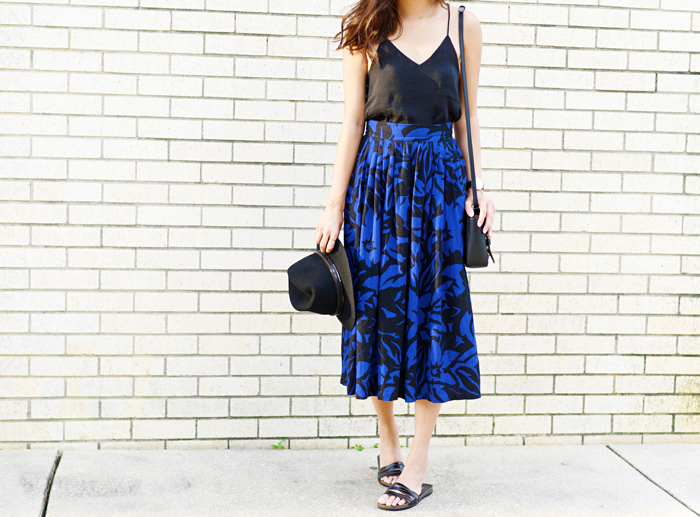 For this style post, I'm wearing a vintage Oscar de la Renta skirt with Hawaiian print details. I've always been a big fan of midi skirts and love the "ladylike" appeal it exudes! I paired it with my favorite pieces such as this black tank from H&M, Rag and Bone hat, Daniel Wellington watch, Kenneth Cole slides, and Reed Krakoff bag!